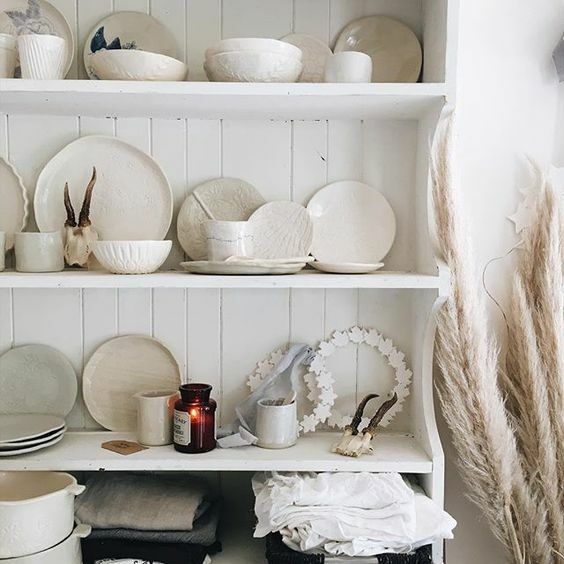 I am always hesitant about providing trends each year as I am a firm believer that you should decorate for yourself rather than slavishly following looks that can often turn out to be a short lived fad. However it can be interesting to see what the trends are as it often reflects what is available to buy but also is a good indicator of the prevailing social mood. I have therefore put together what I see as being the colour & interior trends 2019 and you can take from it the pieces that you like! At the end of last year, Pantone announced that its colour for 2019 would be Living Coral, a soft pinky orange hue. My predication had been for a Terracotta tone as I have seen a lot of this coming back into fashion in the last couple of years. But Pantone decided on a softer and more approachable colour that is warm, pretty and delicate. In any case, we all knew it had to be a warm colour. Last year Pantone opted for Ultra Violet a strong and deep tone on the cusp of blue and red and in 2017 the colour was Greenery which was a very popular choice and is still very prevalent through design, particular in interiors in its natural form. 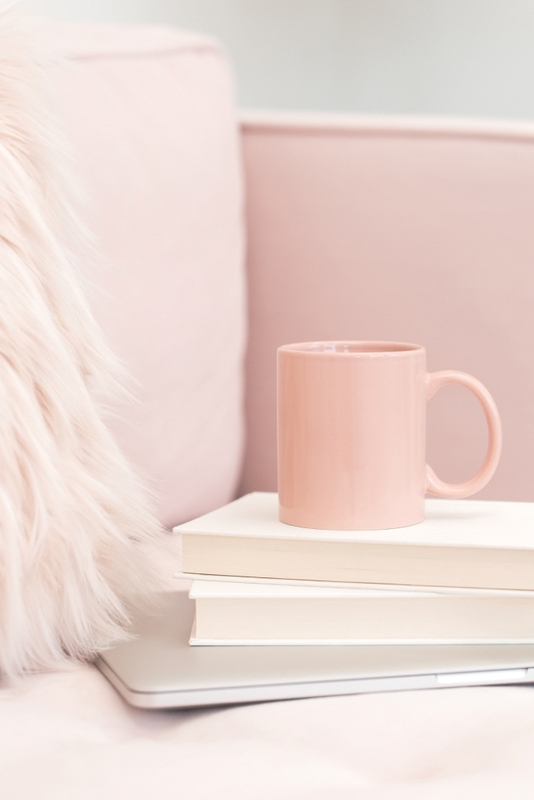 So the beautiful warm, blush tones are making a comeback in all areas of the home. A warm colour was also on the cards too to combat all the grey that is so popular. I don’t see grey disappearing anytime soon and the cool whites and neutrals are still very popular for interior schemes but I am beginning to see some of the softer, warmer neutrals making a comeback. 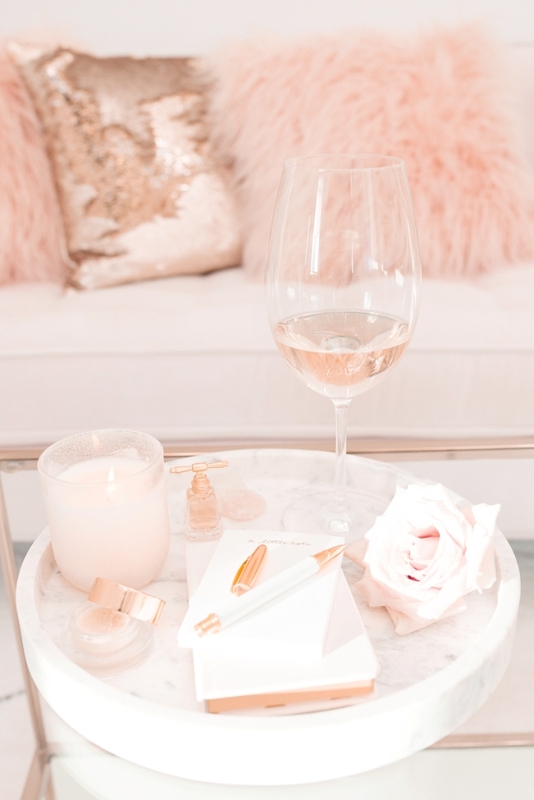 So, for interior trends 2019 we will be seeing more of the pinks, ochres and golden neutrals in our interior decorating, together with some warmer and more approachable whites. This is a lovely example of some warmer neutrals to complement the oak flooring and table. The touch of black ensures that the look is stylish and contemporary. In a world of sophisticated neutrals we are also seeing strong splashes of colour introduced into our decorating. 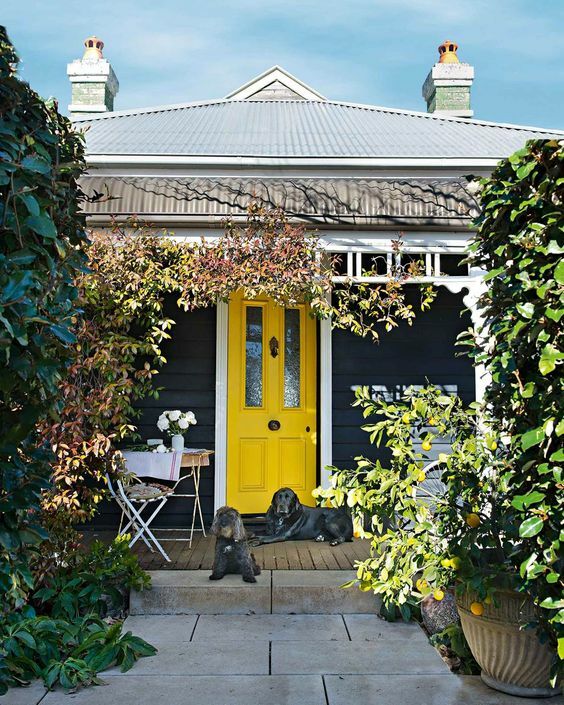 More clients are beginning to ask my advice on a colour for their front door. A weekend project, this is one of the easiest and cheapest ways to put your stamp on your home. This gorgeous home in the Southern Highlands encompasses so many of the trends that I am discussing in this feature – it is well worth a look. Matt, matt and matt! Very matt finishes have always been a favourite of mine and I am so glad to see them gaining in popularity and becoming the favoured choice for many people. Dulux has recently released a low gloss aqua enamel paint which is long overdue so we can now paint internal doors, trim, bookcases etc. in a lovely matt finish without losing durability. Natural timber and honed stone surfaces will continue to be on trend. While rattan, linens and soft wool throws, rugs and carpets are appreciated for their natural appearance and tactile finishes. Throws are chunky, baskets are rough with interesting weaves and gorgeous natural timber grazing boards have replaced our ceramic platters. Thankfully it is becoming evident that the throwaway society is not one to be admired. Mass produced items no longer hold appeal and we are more interested in individual items that have been handmade and have some provenance. Craft markets are springing up everywhere and artisans are displaying and selling beautiful pieces that tell a story. People want to know where their item came from and how it was made. They want to feel good about their purchasing decisions and buy one more expensive piece than dozens of insignificant items. Unless you have been asleep under a rock, you will have certainly heard about Marie Kondo. An organisational guru from Japan, Marie Kondo has been teaching us how to tidy up and get rid of the mess in our lives. Whether you are a fan or not, I think what you should take from this is that many of us buy a lot of rubbish that is only used a few times. If nothing else it should be a wake up call to only buy quality and something that we really love. So I see quality, artisan, handmade beautiful items that have provenance and tell a story, being part of our decorating plans for the future. At the recent Sydney trade fairs this was an occurring theme. It is always heart warming to see artisans who believe in their product and spend huge amounts of time and effort making beautiful pieces. I love the much anticipated ceramics from Marley & Lockyer. Pieces are lovingly handmade and beautiful in their simplicity. 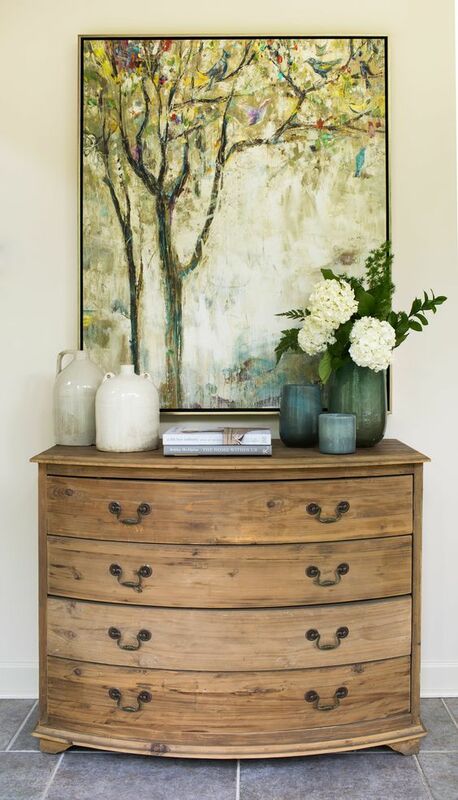 This has long been a tenet of Scandinavian style where a simple and paired back look is preferred to one of clutter. The Danes for example will save up and spend vast amounts on a statement chair rather than compromising for a cheaper high street find. 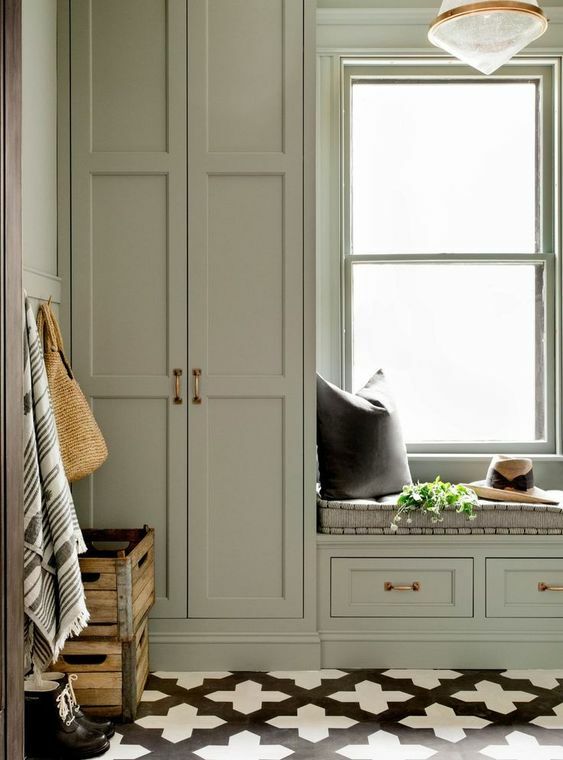 On the theme of organisation, there are two rooms that appear to be on everyone’s wish list – The Butler’s Pantry and the Mud Room. 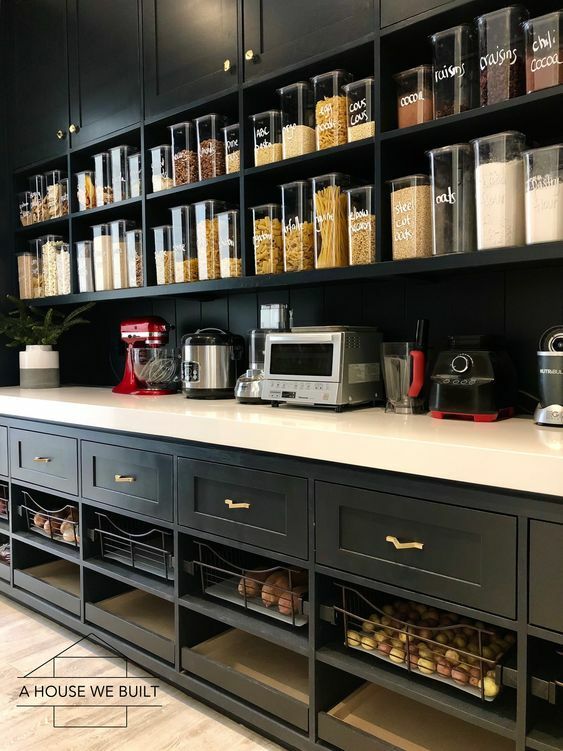 In our efforts to become more organised, these two areas are seen as crucial to a new home and I know people who are remodelling to achieve these in their current homes. A Butler’s Pantry keeps all the mess – even the refrigerator in some cases – out of the way of the beautiful showcase kitchen. While a mud room takes care of all the boots, umbrellas, hats, coats and bulky school and sports bags. I must say this is a trend that I would definitely embrace if I had the space. Firmly entrenched in our interiors now is some aspect of greenery. Following on from the merging of exteriors and interiors, indoor greenery in many forms has been popular now for some years and I see this continuing. Eucalyptus, always popular in its native Australia is now seen as the favoured choice for styling around the globe. I believe we will continue to see the prevalence of this beautiful green/grey greenery throughout the year. Contemporary Bohemian Style will continue to be popular with its lines blurred with a classic Australian Coastal look. 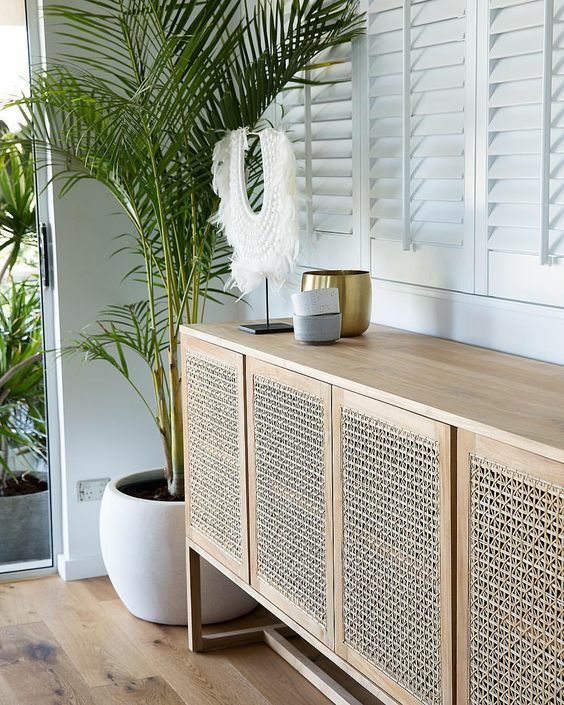 Their reliance on natural timber, beautiful artisan pieces, indoor/outdoor living and the prevalence of indoor greenery mean these will go from strength to strength. 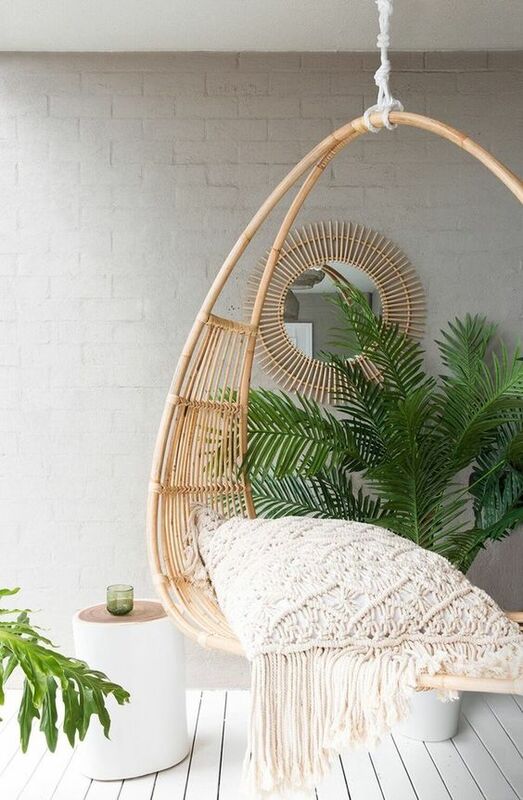 Rattan in pendants, chairs and furniture and bedheads will also dominate the market. 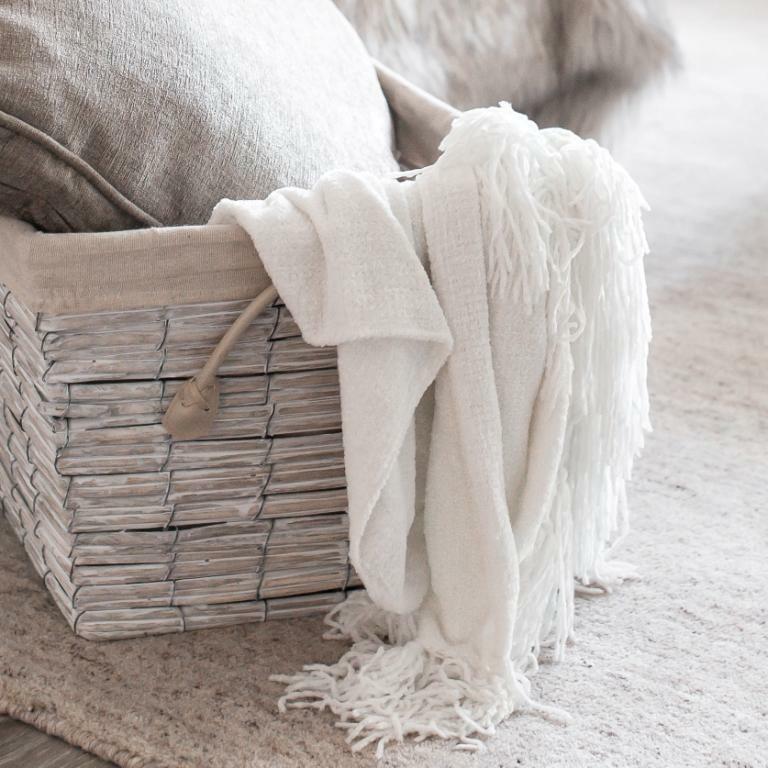 The gorgeous new warm neutrals will be introduced through cushions, throws, tactile rugs and dreamy linen sheers. Tribal patterns will be more prevalent, particularly for the Coastal and Bohemian looks. 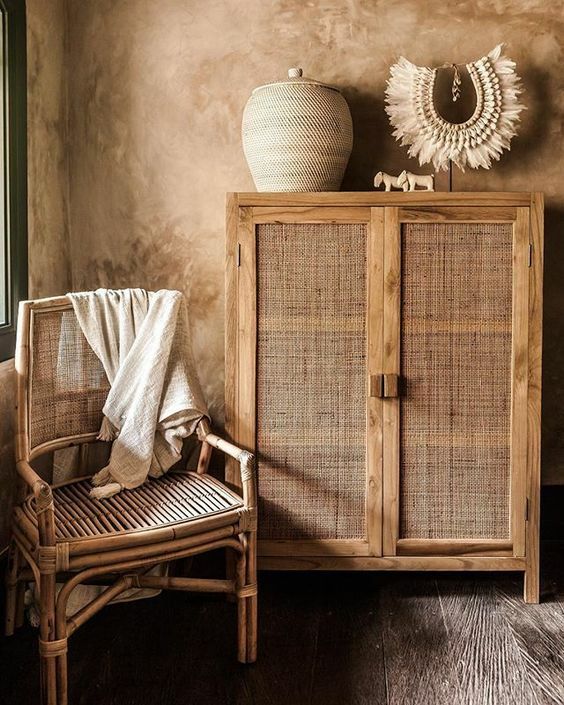 The Hamptons look shows no signs of going out of style but I think the colours will start to move away from the greys a little and some of the softer elements of the British Colonial Style will be introduced with a mix of natural timbers and rattan into the style. 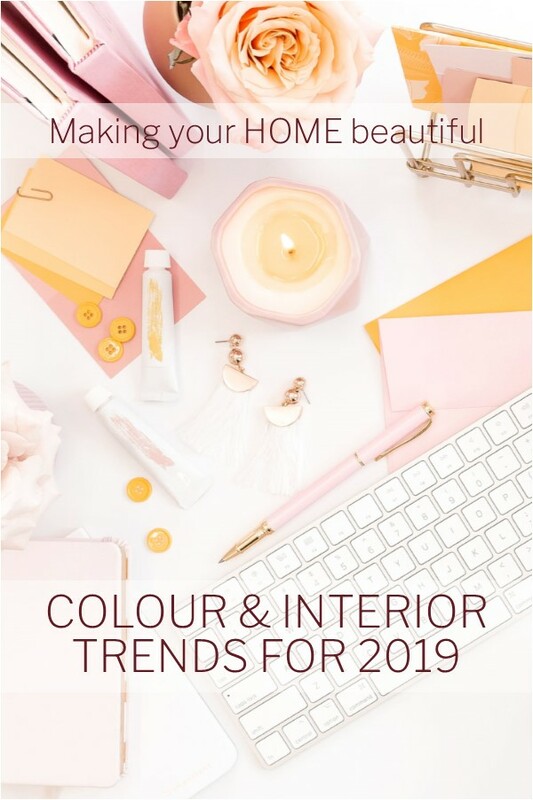 I hope you have enjoyed my insight into colour and interior trends for 2019. 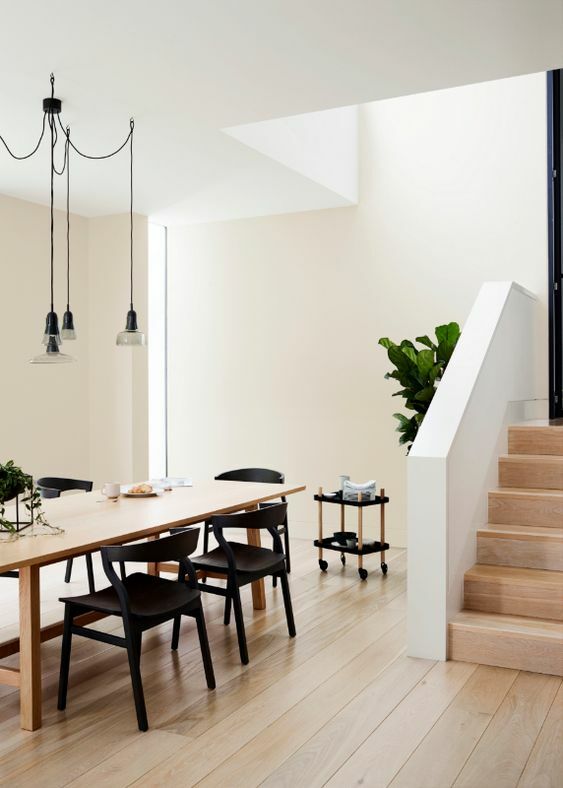 Don’t take them as gospel as in such a fast paced global environment, new ideas are surfacing daily but this may have given you food for thought about what you may like to see in your home this year.